If you are owning a business in food service department, it will be a threat for you to face with many stiff competitors. Consequently, implementing good marketing strategies would be an essential for business owners. Due to the customer’s habit of searching before visiting actual place, owning a solid website will bring to your business greater opportunities to reach out with target market and promote your restaurant. Besides, if you are planning to create a new website or just make some changes for the existence one, you should try to use a pre-made website template. A theme based on WordPress combines many plugins and features that help you in making a perfect online restaurant website. 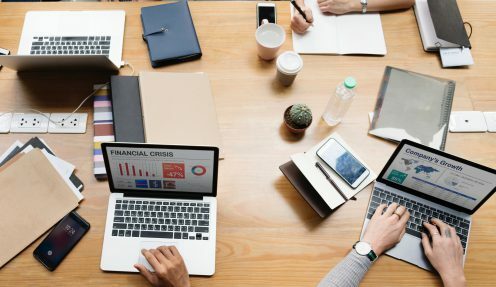 If you are hunting for a theme applying for your website, let me help you with the list below for the top 10 best restaurant WordPress themes. Resca also has an amazing parallax effect making your website smooth and be on a spotlight. The theme is created to be fully responsive and looks great on every kind of platforms and devices. With the drag and drop page builder, the owner could be able to customize the sites easily. Besides, Resca also bring an online reservation plugin that allows customers to book table right from the site via Table Booking & OpenTable form. With Resca, you do not need any coding or program experience. WooCommerce plugin allows customers to meet any e-commerce need of customers. Moreover, the improvement of SEO will help your site climb higher to the mountain of website ranking. 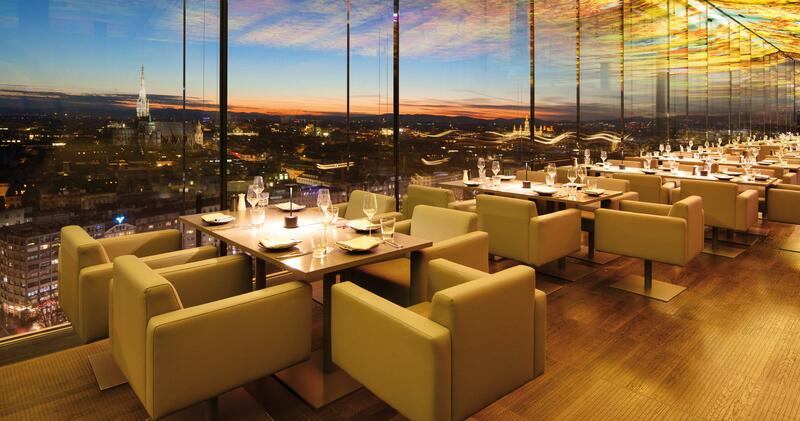 Why don’t you try with this one of the best restaurant WordPress themes? Moreover, developer of Luigi also offers one-on-one support and FAQ section that support and give advices to help you build successful website. 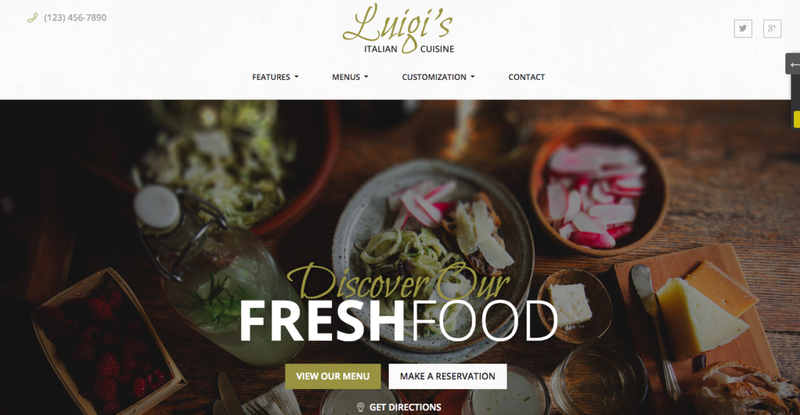 In general, Luigi is a good choice for creating a food service website. TheGem is a multi-purpose website theme with over 40 creative demos in all categories. 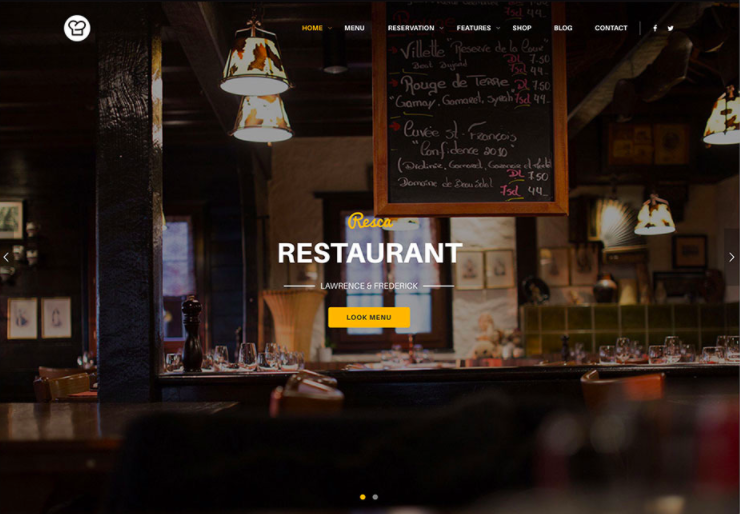 Among them, the theme for restaurant website is one of the strongest demos with a set of plugins and suitable for a modern and luxurious restaurant website. This template not only has been created with high performance but also has lightweight and fast loading. 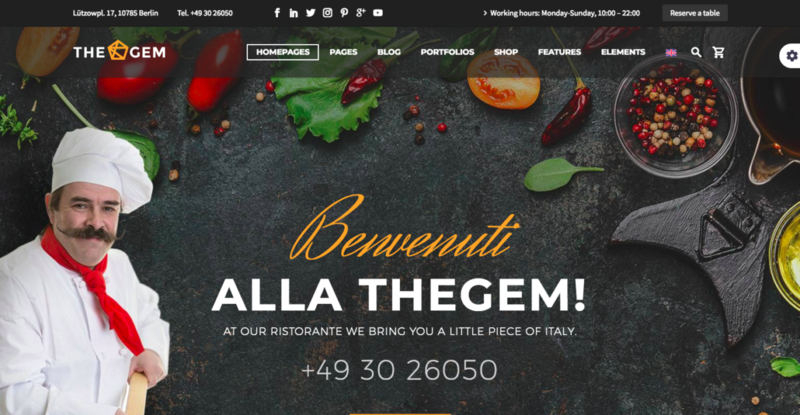 Besides, TheGem restaurant theme contains both page and muti-page templates. With customization tools, you can show off all your best dishes in a modern creative design. By preparing a perfect SEO friendly code for on-page optimizations, the developers of TheGem also guarantee for the high google rankings for the websites. This template is also fully responsive and looks great for any device and platform. Moreover, TheGem website provides an online shop with WooCommerce plugin. Butter is a beautiful, attractive, professional and easy to use WordPress theme which are suitable for website of restaurant or cake and coffee shop. The designers of Butter provide a template with Visual Composer and Master Slide plugins as a bonus. The theme contains beautiful menus, functional shop pages, online booking system… With the high performance of parallax scrolling effect, the viewers will have an extraordinary browsing experience. Especially, this effect can be switch on and off easily with “Theme Options”. The codebase for SEO enhanced will help you to boost your website to a higher search ranks. Last but not least, Butter with fast loading and lightweight will be an extremely good solution for food businesses. Kallyas is a well designed, amazing structured and easy-to-use WordPress website theme for multi purposes. This template has drag and drop page builder “Visual Builder” which is the best solution for building websites today. 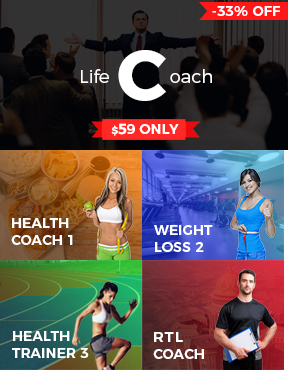 You can have your own website just after 3 simple steps without any line of code. Kallyas also includes powerful tools and features supporting the quality of websites. A functional newsletter MailChimp integration keep you stay in touch with customers and always deliver the best content to them. With awesome Gallery layouts and styles and Retina ready resolution, the high-quality and attractive images will show off all you dishes, meals and specialties. Shortly, Kallyas is a perfect choice for restaurants, caterers and food service businesses’ websites. One of good restaurant WordPress templates is Uncode. Uncode is a beautiful theme for multi purposes with many amazing concepts. It comes with over 30 demos in many categories. The template provides a high performance, fast and powerful website. With Visual Composer, you can create headers, contents, footers and custom archives. Social media sharing supports you in adding any kind of media to your site. Uncode is compatible with CSS3 animations and Contact Form 7 and includes Google Maps allowing you to locate your real restaurant. Uncode’s developers improve SEO tool for the template and contain WPML for translations. 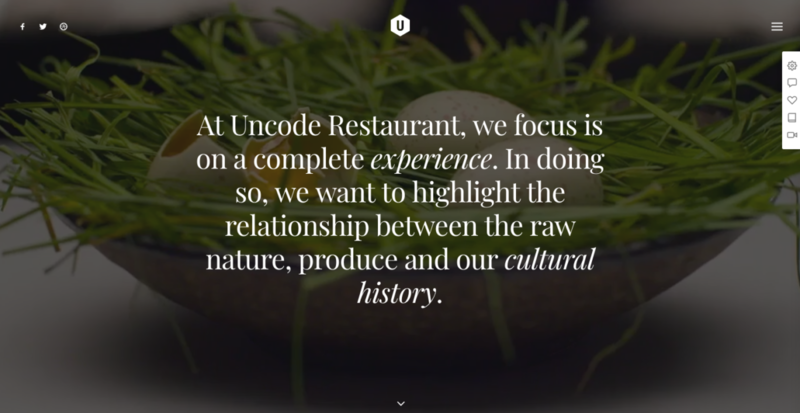 In general, Uncode is a modern, professional and creative template in the top 10 restaurant WordPress themes. Norebro is a designed as a creative multi-purpose WordPress theme. It includes more than 30 creative carefully crafted demos which are suitable for many kinds of website. You can easily create stunning website without any web-coding experience. The developers integrate bundled free plugins into the template including Visual Composer, Revolution Slider, ACF Pro. Norebro also has WooCommerce plugin integration helping you on getting online transactions through the website. SEO services optimize your website with multi-language. Besides, RTL supported will be features supporting the site in getting more visitors. Just by one-click, you will get everything with Norebro. Rosa is a beautiful illustrated WordPress theme will attract viewer by high-quality images with the slider feature. Besides, the Parallax Effect makes the template run smoothly and keeps the website in a spotlight. Rosa also offers fully responsive website in order to capture more traffic through all devices from laptop, desktop, tablet and even mobile. Further more, OpenTable feature allows customers to book table through online reservation options without making any phone call. The tool will help them feel more convenience and improve their experience with your restaurant. With WooCommerce plugin, you can set up an online shop allowing customers to order food through your website. Besides the plugins, Rosa is also translated into any language that you choose and changed into other font through Theme Options. Shortly, just by one-click and all content pages, blog articles, menus, sidebar widgets will be set up for you. Why not try with Rosa? Dine is a strong and modern WordPress theme for Restaurants and Café website. With the purpose of making the best dining experience for visitors, Dine contains smooth Parallax effect and 8 pre-made demos. For specific customerizations, you will have support of Page Builder and Live Customization. Visitors can book online with Open Table plugin. Besides, Dine is Retina ready and mobile friendly with its Off Canvas Menu. Searches are optimized by SEO improvement. Dine also has Translation Ready feature which allows you to translate the theme into other languages. Jevelin is a great looking multi purpose WordPress theme developed to suit basic and complex website projects. With Jevelin, you can easy to install and customize your website without any programming and coding skill. Built-in Slider Revolution is a perfect way to make the website more attractive. The Contact Form 7 plugin will give you power to satisfy your customer. The theme is compatible with most SEO plugins, offers SEO ready and friendly to improve search ranking of your website. Fabulous Themes. I Really Like It.